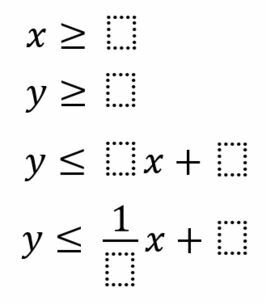 Directions: Fill each blank with a different integer such that the point (4,4) is within the solution region created by the constraints. Where do the largest number need to go? Where do the smallest numbers need to go? Use Desmos to graph each inequality.